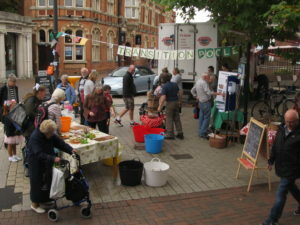 Transition Towns attempt in their local area to find, support and create positive projects for change. Reskilling people to rely less on oil, in a low-carbon economy, reducing their personal carbon footprint, and rebuilding a sense of community. We meet occasionally with films and social get-togethers. 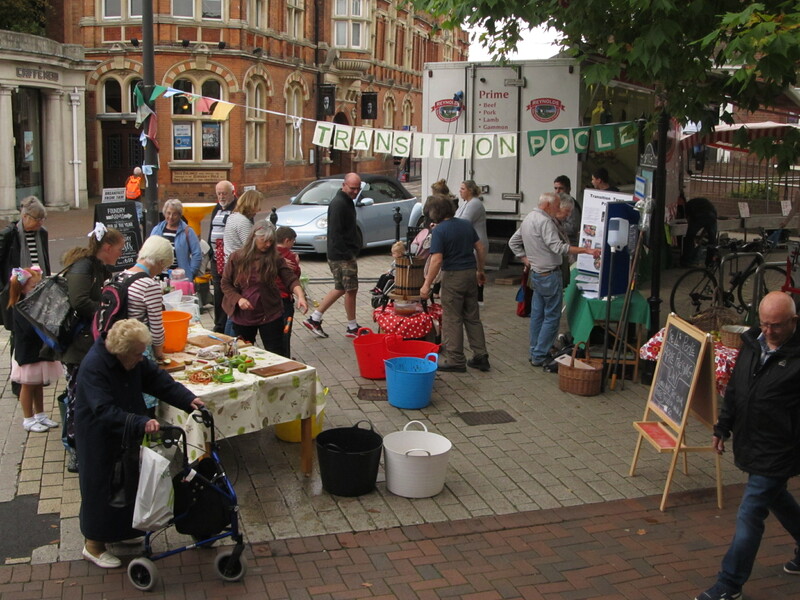 Find us on Facebook or email transitiontownpoole@gmail.com for news. 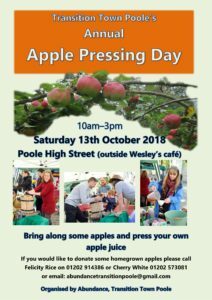 This year’s Abundance Apple juicing in Poole High Street is on Saturday 13th October! 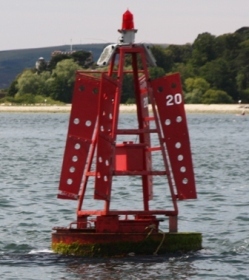 Please contact Andy H on 01202 389782 or transitiontownpoole@gmail.com for details. 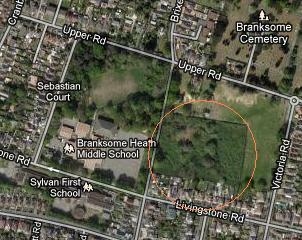 In 2010 Transition Town Poole helped a group of local residents to save a much-loved bit of green space in Upper Parkstone from development. 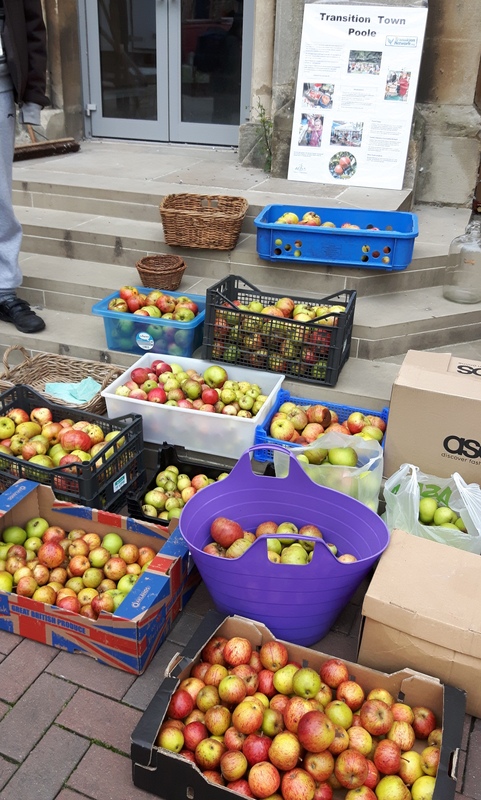 A new project to bring together people and organisations working to minimise overall waste going to landfill in Poole and to reduce single-use plastics, food waste and packaging. A group of families in Poole club together to order ethical, good-quality food and ecological household goods in bulk from Essential Coop, Bristol about every 4 weeks. If you live, work or play in Poole, you are invited to join the group, or just to take some of our ideas and apply them to your own life.